One thing should be made clear from the get-go though. 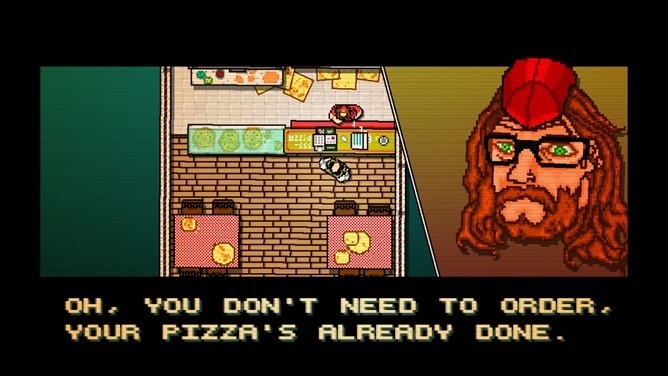 This is not a game for the faint-hearted, the cack-handed or the overly casual gamer, because it is devilishly and almost stubbornly hard. 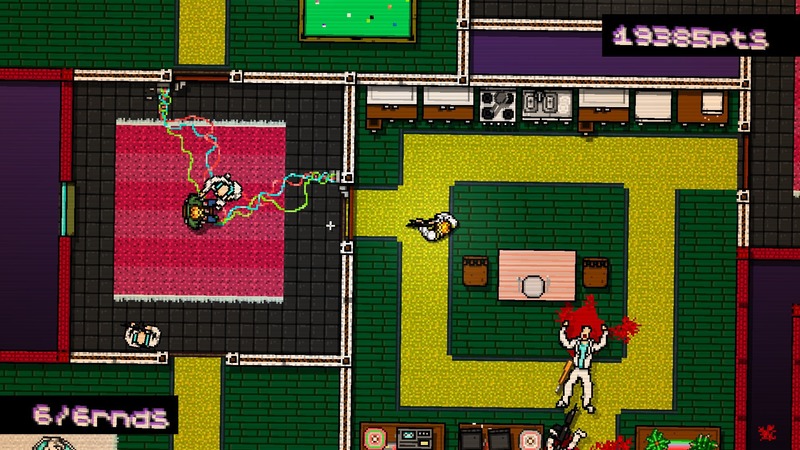 It demands your entire attention and the game’s creators clearly took it for granted that most players would be prepared to die A LOT before they figured out the path of least pain and resistance through each chapter of Hotline Miami’s unfolding bonkers storyline. You are going to die a lot because it only takes one on-target shot from one of the many Russian goons in the game to kill you. No health bars, no spare lives, just the grim finality of death. Over and over and over and over. 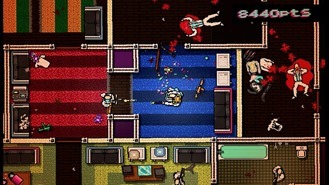 Until your timing and reflexes allow you to finally not get shot and, thus, move onto the next room, where yet another drug, gun and gangland mini-drama awaits. It sounds repetitive and it is. But one that that it isn’t is boring. You basically don’t have time to be bored, what with all those bullets to be dodged! An important tip is learning how to use your immediate environment to your advantage. Doors, for example, are not merely holes in walls through which you can walk. They are also heavy pieces of wood that can be used to slam into your enemies faces, thus rendering them unconscious before you jump on them and repeatedly beat them in the heads until they die. So it’s a difficult and testing game, but one that bears repeated play. Which takes us on to the next tip: keep trying! Sounds pretty obvious, but initially it’s highly likely that you are going to be shot down very quickly quite soon after entering each of the game’s small rooms full of tetchy, tooled-up gangsters with twitchy trigger fingers. You just have to dust yourself off, tap restart and try again. The real joy – and the amazing accomplishment of the game design in Hotline Miami – is the fact that this never becomes annoying or frustrating. Because you soon develop a very strong urge to want to try again. 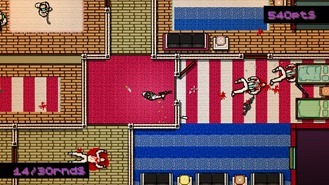 For the pure slapstick joy of seeing this blood-spattered pixelated ultra-violence play itself out in front of your eyes. 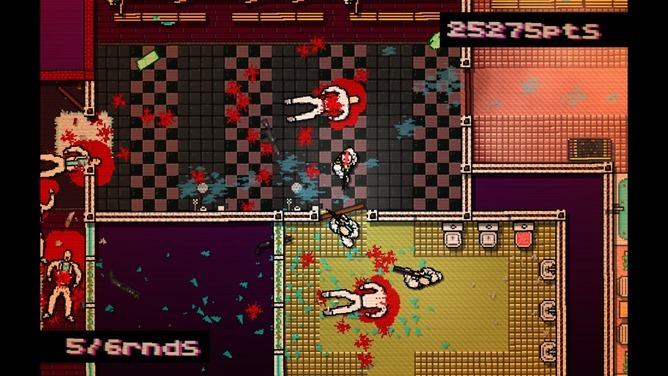 Marry this mayhem with the singular best soundtrack we’ve ever heard in a videogame, ever - blasting out in glorious 5.1 or 7.1 surround via your NVIDIA SHIELD – and it’s clear why this is a no-brainer download. The NVIDIA SHIELD Android TV is now available to own starting at $199. 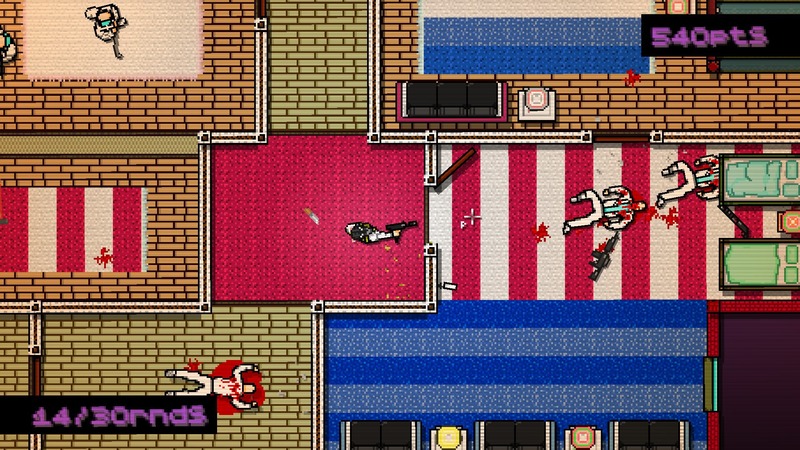 Hotline Miami is also available for $4.99 on Google Play.